Advertise your business with Discount Games. Whether your business is geographically focused in a specific state or nationwide, we have advertising opportunities available to suit your needs. Your ad can appear on the front page or throughout our site. You choose the placement that makes the most sense for your business. Choose how long your advertisement stays posted. Ad rates are affordable and targeted. Check out our Ad rates and fill out the purchase form below or if you prefer Send E-mail and we’ll get back to you right away. Text links are also available! 1 Year – $249.95 SAVE! 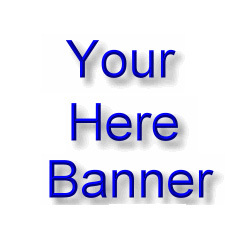 Banner Ad construction – NOW INCLUDED! Upon approval private access will be given with more information and instructions on sending banners or materials for banner construction. Discount Games will accept client constructed banners. Banners must be less than 25k in size. We accept materials for construction in text, html, jpg, gif, psd, MS word/ppt or pdf formats (Discount Games reserves the right to approve any Ad submitted).